Hello my friends! I’m only doing one gift guide this year and it’s for those of you, who like me, are wildly behind with shopping this holiday season! Maybe, like me, you’re ALWAYS wildly behind during the holidays and have started to pride yourself on your ability to swoop in at the last minute and WIN AT GIFT GIVING AGAIN! I know it’s not a competition, I don’t mean it like that. But I do pride myself on my ability to find that just-perfect something for my loved ones at the final hour. Maybe I just work best under pressure! Or maybe I’m an actual procratinataholic. It’s a tough call. The post was produced in partnership with American Express. Thank you for supporting our sponsors! 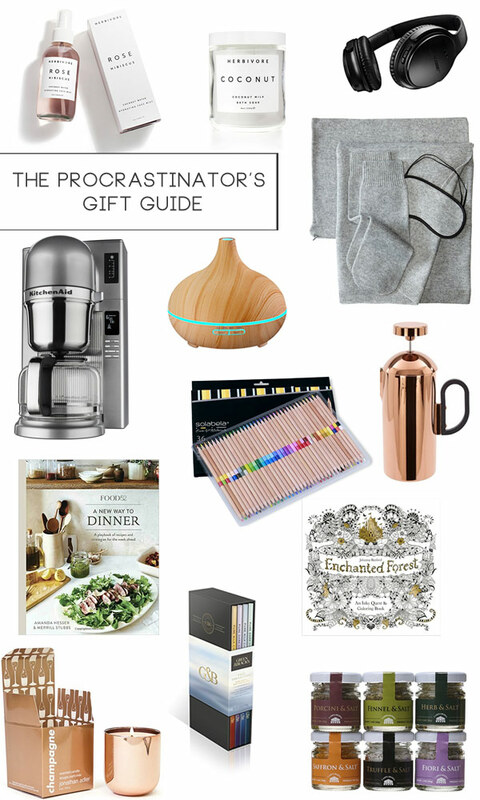 THE PROCRASTINATOR’S GIFT GUIDE gives authentic information about Gifts. The ideas of your post are unique. Nonetheless, I know Amazon havea vast products where customers can buy needy goods like Gifts etc. I like to prefer Perfume for Gift.